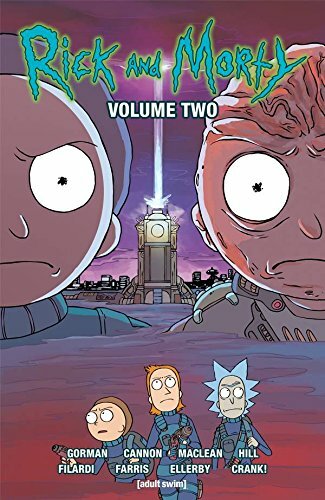 Catch up on the adventures of degenerate genius Rick Sanchez and his bumbling grandson Morty as they explore the outer reaches of time, space, and decency. This collection features issues #6-10 of the comic book series, including the "Ball Fondlers Special" by guest artist Andrew MacLean, "A Very Special Blumbus," illustrated by series writer Zac Gorman, and a cyberpunk adventure across the multiverse. Plus: bonus mini-comics showcasing fan-favorite characters!